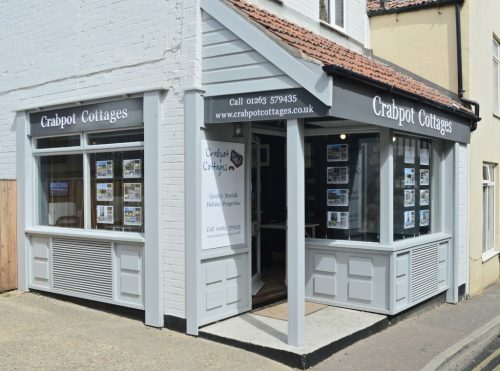 Crabpot Cottages is fast becoming the go to, independent, small holiday cottage agency, on the Norfolk coast. We offer quality holiday cottages Norfolk, with the personal touch. And we do not charge a booking fee. All our holiday properties are inspected by us, and are places we would personally stay. Our new office is now open in Sheringham. Come in and see us! We love to meet as many of our guests as we can. Our aim is to bring you beautifully presented, holiday cottages that are family friendly, and mostly dog friendly, situated in the lesser known villages and coastal areas of North Norfolk. We want your holiday to be special from the moment you walk into one of our holiday cottages in Cromer, Overstrand, Cley next the Sea, Salthouse, Sheringham and Brancaster. Looking for a last minute Winter escape? There is so much more to North Norfolk than is generally publicised and with our extensive local knowledge we will point you in the direction of sandy beaches, desolate nature reserves, hidden spots on the Norfolk Broads, pretty flint villages, fantastic restaurants, cosy village pubs and our favourite walks. Have a read of our blog for insights into visitor attractions, beaches,and lots more. Our holiday cottages are just that, your home from home. They have nice linens and comfortable beds, towels and central heating. We will leave you a little treat for your arrival and make sure the corkscrew is handy. Hopefully we try to think of everything you might need during your holiday, but if you have any special requirements just let us know and we will do our best to accommodate you. We have properties including, a cosy coastal bolthole for two, a beautifully designed traditional Norfolk flint cottage, a Victorian seaside villa sleeping 9 and a funky designed accessible bungalow in Cromer. Crabpot Cottages are very family friendly and try to provide everything you might need, and most of our houses can provide travel cots and high chairs on request, we also have a buggy you can borrow if you need too, just ask! The majority of the gardens are fully enclosed but we are always on the end of the phone to discuss which house will suit you best. Norfolk is the perfect place to bring your family to make some sandy toes childhood holiday memories that will last a lifetime. Unplug, relax, restore and unwind. 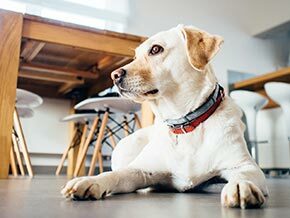 We know that your pet is as much a part of your family and you don’t want to leave them behind. The majority of our houses are dog friendly holiday cottages with enclosed gardens. Norfolk is super dog friendly with many places to eat and walk. If you have any questions, please do gives a call so we can point you in the direction of which house will suit you best. Holidays are all about building memories and having a real local experience, where ever you choose to stay. So if you don’t like jostling with the crowds, and want to discover a more secret Norfolk, contact us and holiday like a local. Crabpot Cottages. Click here for our live availability booking and prices.